Blog › NEW: Aqua-Fox For Screed Layers! NEW: Aqua-Fox For Screed Layers! 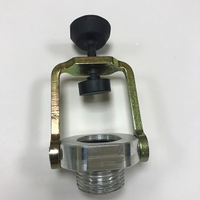 Introducing...."AQUA-FOX" ...WATER TAP ADAPTER ! 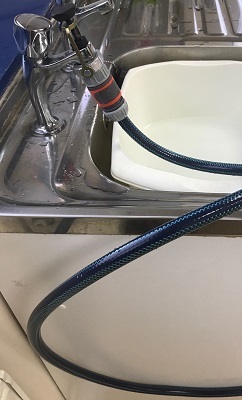 The kit will make it easy for installers to prepare for a domestic or small commercial job where only a small sink area is accessible. 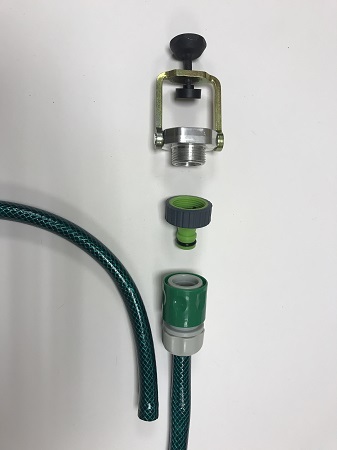 The kit is complete with the connector and hose, so simply clamp the adapter to a tap and screw in the 3/4" hose connector, and attach the hose, ........you're ready in seconds! No more guesswork on the amount of water required for a mixture. Please view our extensive floor preparation tool and machinery range to ensure you are best equipped for any project. For more information, please view our Aqua-Fox product page and submit an enquiry today, or feel free to leave a review. We are constantly striving to bring perfect site solutions to flooring installers nationwide!